Bought this watch. Love it but is faulty. Runs for a while then stops. 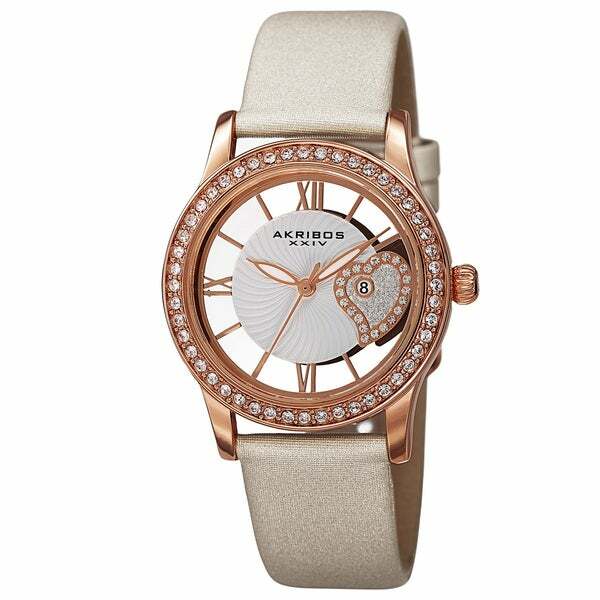 Show some love with this beautiful and dazzling Akribos XXIV women's watch. The lovely swirl pattern accented with a brilliant heart is featured on a transparent dial. The genuine crystals and satin strap create a very sturdy, irresistible timepiece.